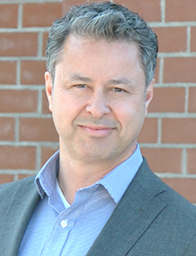 Hal G. Spelliscy - Oram Spelliscy Family Wealth Management - Kelowna, British Columbia | Raymond James Ltd.
Hal Spelliscy is a Portfolio Manager and founding partner of Oram Spelliscy Wealth Management. After earning an Economics degree from the University of Victoria, Hal entered the financial industry over two decades ago. Licensed to practice in British Columbia, Alberta and Saskatchewan, Hal’s practice serves professionals, business owners, retirees and charitable endowment funds. Father of a son and daughter, Hal’s spare time is spent volunteering, playing recreational hockey and adventure motorcycling. Hal and his family have helped raise over $250,000 in BC and Alberta for those living with Amyotrophic Lateral Sclerosis or “ALS”. In 2012, Hal combined passions in the “Iron Ride for ALS” (ironrideforals.ca) – crossing Canada by motorcycle in less than 90 hours to raise $37,000 for ALS research. Hal serves on the Investment Advisory Committee for the Roman Catholic Diocese of Nelson, is a lector at St. Charles Garnier parish and also Chairs “The Bishop’s Task Force for St. Joseph’s” – a group overseeing the $4.8 million rebuild of one of Kelowna’s first elementary schools.